One tree trunk, split in half by the weather. I thought it was raining on all sides of the tree, but apparently not. Only the south side got wet. 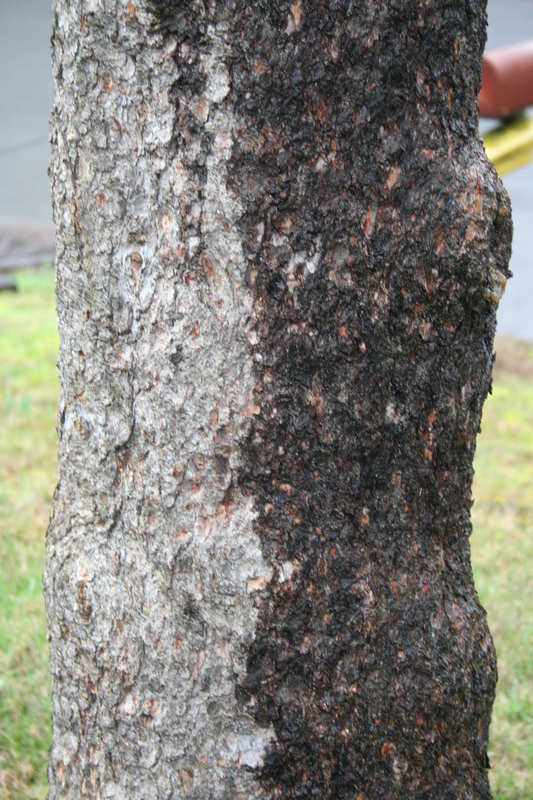 The wet side almost looks like a charred tree, the bark is so blackened by the wet. 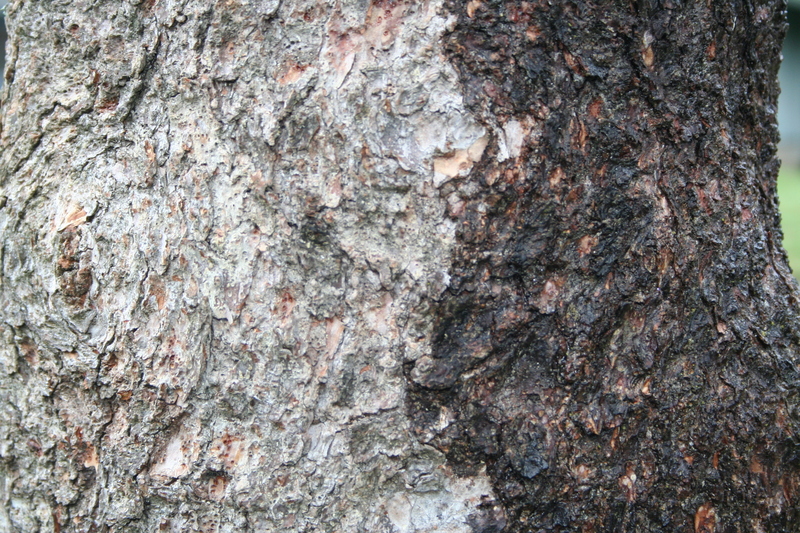 Half-burned tree. I’ve seen those in the woods: old lightning strikes that leave a tree scarred and the wood charred almost to the heartwood, but the tree still growing up and out and around the wound. It is just a half-wet tree, the south side sprayed with fine mist from the prevailing wind of one damp day while the north side remained ry and protected. Made for a nice contrast out my window and I appreciated the tree’s artistic effort.